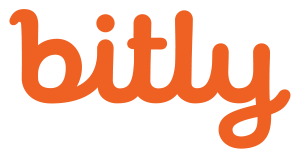 July 12, 2017 (NEW YORK) – Bitly, the world’s first and leading Link Management Platform, announced today that it received a $63 million majority investment from Spectrum Equity, a leading growth equity firm. The investment enables Bitly to expand its link management capabilities from a strong foothold in enterprise marketing to an increasingly diverse set of customers and teams. Founded in 2008, Bitly is used by millions of customers, including close to three quarters of the Fortune 500, who have collectively created over 32 billion links. Businesses use Bitly’s intelligent links to gain greater transparency, control and data ownership across diverse and fragmented user experiences. This partnership with Spectrum, experienced builders of SaaS companies like Ancestry.com, SurveyMonkey, Lucid Software, and lynda.com, will help the company expand its tools and services. As part of this transaction, Pete Jensen and Parag Khandelwal from Spectrum Equity will join CEO Mark Josephson on the Board of Directors. Branded Bitlinks, fully customizable links to build trust and brand consistency, with auto-branding for organically generated links created by users across the Bitly network. Oneview, which tracks your customer’s experience on every link and every channel in real time, making it easy to analyze campaigns or channels from a macro and micro level. Brand Manager, which helps customers segment account activity and analytics by department, location, channel, brand or user. Mobile Optimizer, which allows users to create device-aware links that drive app installs and re-engagement. In tandem with this investment, today Bitly has released updates to Mobile Optimizer, an improved deep linking offering for all its Enterprise users. Bitly was advised by GCA Global and Fenwick & West. Spectrum Equity was advised by Kirkland & Ellis. Spectrum Equity is a leading growth equity firm providing capital and strategic support to innovative companies in the information economy. For almost 25 years, the firm has partnered with exceptional entrepreneurs and management teams to build long-term value in market-leading software, information services and internet companies. Representative investments include Ancestry, Bats Global Markets, GoodRx, Grubhub, Jimdo, Litmus, lynda.com, Prezi SurveyMonkey and Verafin. For more information, visit www.spectrumequity.com.